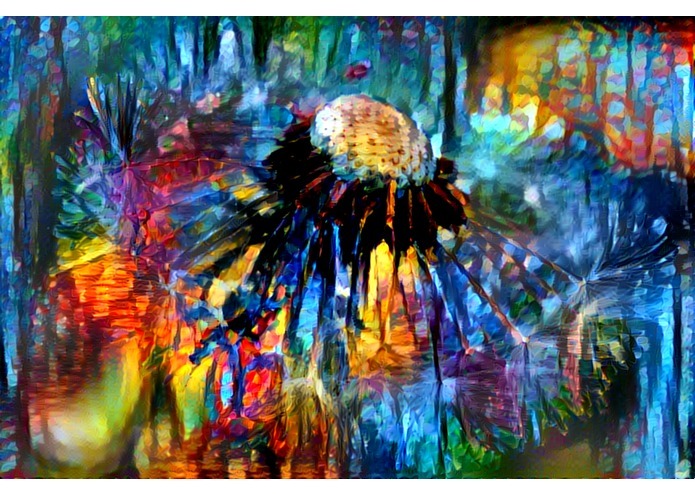 ARTificial is a web application made to develop professional pieces of artwork using Neural Network AI algorithms. The app takes two images and merges them together, combining their different layers, and seamlessly integrating the different aspects of both images. We've generated an example image in the gallery that you can take a look at. ARTificial uses a Lua scientific computing library called Torch (similar to Python's numpy) to run neural network machine learning algorithms. 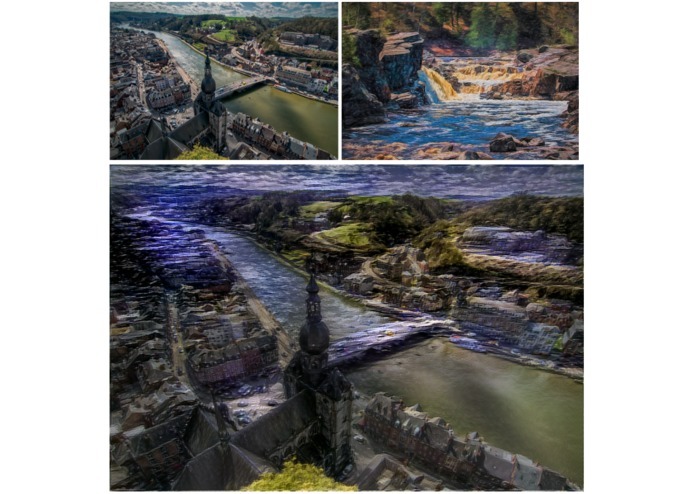 Torch is a library based off of the research done by students at Cornell University to analyze artificial intelligence capabilities within the field of fine art. The amount of computation required for the artificial neural network is quite demanding. In order to overcome with obvious problem, we used Amazon Web Service's GPU instances to run these tasks. The program will take in one content image - the image to be reconstructed, and take can take in multiple style images - the images that will modify the content picture.The artificial neural network will create the new merged image iteration by iteration and layer by layer. The result is a hyper-realistic styling of the original photo that will take on the features of the styling images. We took the original concept one step further by building a fully functional MeteorJS web application. The user will get to choose the content and style files and the service will generate a merged image for them and send it to them via email. The MeteorJS app will take the user's files, upload them to Amazon Web Servcie's S3 storage. Then the GPU instances will fetch these files, do the processing, and return the product image URL to the Meteor app to be sent by email. The entire operation is very intricate and was quite tedious to code. We had major challenges with getting the file upload to the S3 storage to work and encountered numerous SSH issues at the beginning (which we were able to bypass by using the Cloud9 ide). The potential uses of this application comes in the form of recreational use. Museums and art galleries would certainly take interest in such a platform perhaps even building their own APIs off it in the future. Artists, painters, and programmers will also find the application interesting as it represents the pinnacle of machine learning and pattern recognition. The web app can be accessed using the Cloud9 link: https://artificial-kshen3778.c9users.io/ The Domain.com domain that was registered for it was art-ifact.com. Unfortunately the services took to long to do DNS propagation and we resorted to using Cloud9 in the end. It might not be on 24/7 so if the link is down then please feel free to contact us. We hope that you will have lots of fun with this entertaining app!